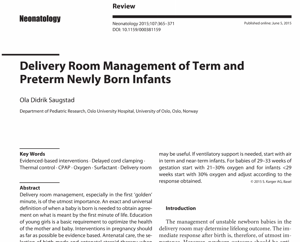 Neonatology has published a review by Ola Didrik Saugstad, professor at Department of Pediatric Research, Oslo University Hospital in Norway on delivery room management of term and preterm newly born infants. 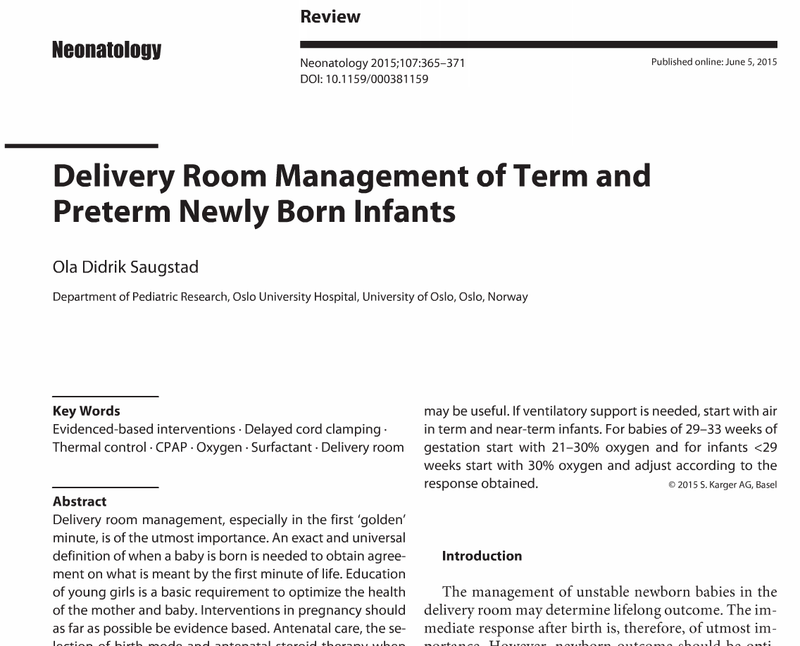 Concisely written, professor Saugstad mentions several relatively new concepts, such as sustained inflations and less invasive surfactant administration. Also when it comes to cord clamping he is generally positive to delay umbilical cord clamping for both term and preterms grounded on the evidence shown through research. According to professor Saugstad, cord milking seems to be an alternative to delayed cord clamping in preterm babies. He also adds another interesting perspective in his review. If delayed cord clamping contributes with 20-30 ml/kg extra blood to the newborn, the birth weight will be higher (shown in the latest Cochrane review to be approximately 100 grams) and, as current growth charts in most, if not all, are based predominantly on early cord clamping, new growth charts might be needed if delayed cord clamping is implemented widely!